Is high protein consumption negatively affecting the body? Protein is a nutritional macro-nutrient that is often demonized by dietitians and doctors. Some of them mention that the excess harms the kidneys. Others, in turn, warn that it can cause bone decalcification. How does the reality look like? What do scientific sources and medical research say about the intake of large amounts of protein? When should we really be afraid of protein? A large group of people who believe that an excess of protein intake with food is harmful for health base their assumptions on the fact that a high protein supply increases the excretion of calcium by the kidneys because this mineral component is used to neutralize the acidic load originating from large amounts of protein diet. The results of the epidemiological studies carried out so far in this aspect indicate that long-term compliance with a high-protein diet is positively associated with bone mineral density, and thus a reduced risk of bone fractures. However, short-term interventional studies show that a high-protein diet does not adversely affect calcium homeostasis. Existing scientific evidence confirms that the negative impact of the acidic load associated with the supply of large amounts of protein along with the diet on the excretion of calcium in the urine is balanced by beneficial anabolic effects directed specifically at the musculoskeletal system and the result of observance of a high-protein diet. Moreover, the published consensus of the experts of the European Society for Clinical and Economic Aspects of Osteoporosis, Osteoarthritis, and Musculoskeletal Diseases (ESCEO) and the International Osteoporosis Foundation (IOF) summarizes the results of all systematic reviews and meta-analyses of the impact of protein consumption on bone health. Conclusions from this work indicate that the supply of protein in adults’ diet even above the currently recommended daily intake may be beneficial in reducing bone damage and the risk of hip fracture, but provided that calcium intake is adequate. Also interesting is the fact that the diet consisting in adding to your daily meals protein supplements reduces the age-related decrease in bone mineral density, as well as reduces the levels of bone turnover markers. Some say that your kidneys need to work hard to clear the metabolites of protein from your body, leading to increased strain on the kidneys. Adding some more protein to your diet may increase their workload a little, but this increase is quite insignificant compared to the immense amount of work your kidneys already do. Currently, there is no evidence that high protein intake is an inherent cause of kidney abnormalities or is consistently associated with increased kidney stones. Of course, people with kidney disease should use a diet model with a reduced supply of protein, no doubt about it. However, healthy people, and in particular people who are training, have no indications. In the end, there is no evidence that eating protein in reasonably high amounts can cause harm in healthy people. On the contrary, plenty of evidence suggests benefits. The key is a balanced diet that contains plenty of meat, fish, dairy or high-protein plant foods. 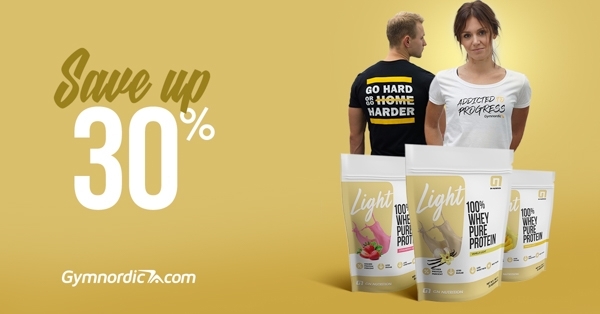 We've prepared a new spring bundle for those who want to get summer body without losing their muscles. Check it out and save 30%! 3 mind-blowing exercises to pump your biceps!